It’s day 9 of Ramadhan and somehow I’ve taken over my mum’s kitchen for good. I’m enjoying this gap year very much – taking photos, cooking, experimenting with new recipes, traveling – basically doing a lot of what I love. I’ve lasted seven months of freelancing thus far and life seems great right now. Alhamdulillah, the doors of rizq (wealth/earnings – there doesn’t seem to be an apt English word for it) are always open. I cannot thank Him enough for His bountiful blessings on me and my family. I have been cooking a lot this Ramadhan, except for the days I am forced to iftar outside, I’m practically in the kitchen. It helps that HalalFoodHunt lets me hone my photography skills and develop recipes from the comforts of my home. 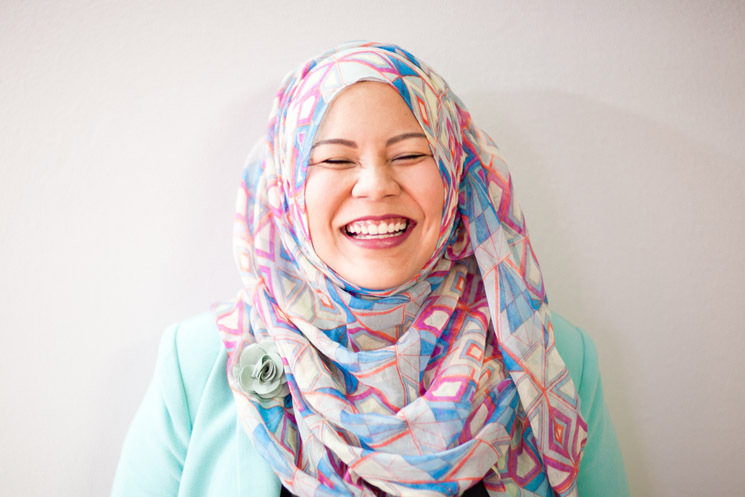 If you’re wondering what this HalalFoodHunt is, click on it and check it out. You won’t regret it, well, unless you’re still fasting at this time of the day ’cause all you’ll see are food, food and more food. This is my first time making this stew, and I’m pretty stoked by the results. I read up on a few recipes, mainly Jamie Oliver’s, Nigella as well as At Home with Magnolia Bakery. Since I’ve been under-utilizing my cookbooks, I forced myself to use the one from Magnolia Bakery. I altered the recipe here and there in terms of method but the ingredients are pretty much the same. The recipe calls for red wine but for obvious reasons, I switched it with chicken stock instead. 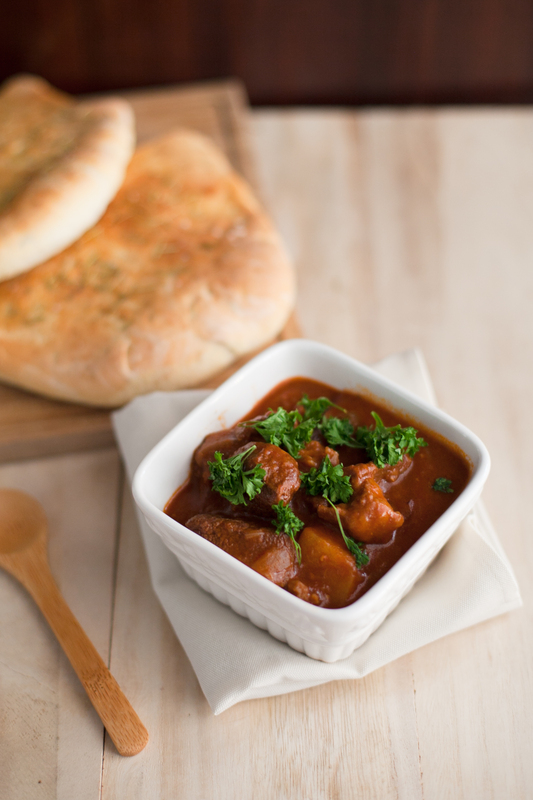 I served the stew with some homemade focaccia bread and they were a hit with my mum and brother. Speaking of which, I think I’ll put up the recipe for the focaccia up soon. In a deep pot, heat up oil on a medium heat. Sautee onion and shallots till fragrant. Add in garlic. In a bowl, rub in flour, paprika, salt and pepper with the meat. Ensure all of the meat is coated. Add in the meat with all of the remaining flour mixture into the pot. Fry all sides of the meat. After the meat has browned, add in carrots and celery, and mix well. Add in tomatoes, tomato paste, chicken stock, and 2 cups of water into the pot. Simmer on low heat for 2 hours, remember to stir constantly. Add in potatoes and continue to cook for another half and hour, stirring every now and then. Serve with bread or on a bed of rice.